A Short Drive to a Great Game! SPRING 2019 - COME AND JOIN US! 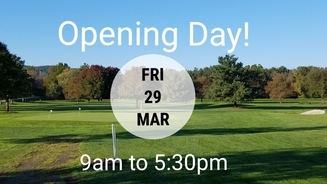 Its Spring and we are Opening for the 2019 Season on Friday March 29th! 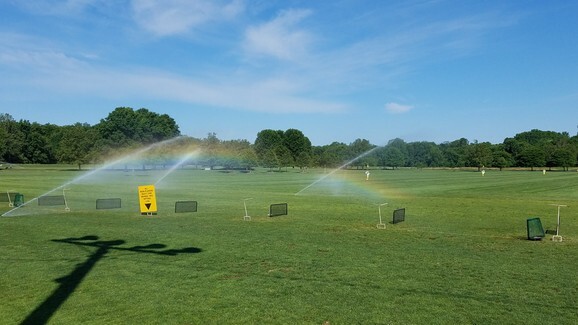 Dust off those clubs, Bring a Friend and Take a Drive to Scenic Farms! On Friday we will be open from 9am to 5:30pm. Starting Saturday March 30th we will be open regular Spring Hours 8am to 8pm. Our friendly staff will be happy to help you purchase your membership or hit a bucket of balls! Join Us! Located in Pine Island, NY, Scenic Farms Golf Course is a 9-Hole Executive Walking Course and 30 Station Natural Turf Driving Range. We Offer a Range of Golf Experiences including Leagues, Clinics, Memberships, Practice Greens and a Friendly Staff. From Beginners to Seasoned Golfers, Scenic Farms Golf Course has Something To Offer Everyone. We Pride Ourselves on being a Great Value for a Wonderful Golf Experience! Come See What Scenic Farms Golf Course is All About! Purchase Your 2019 Membership ! Questions? Come and speak to our friendly staff anytime!